Taken: Why Am I Even Watching This? 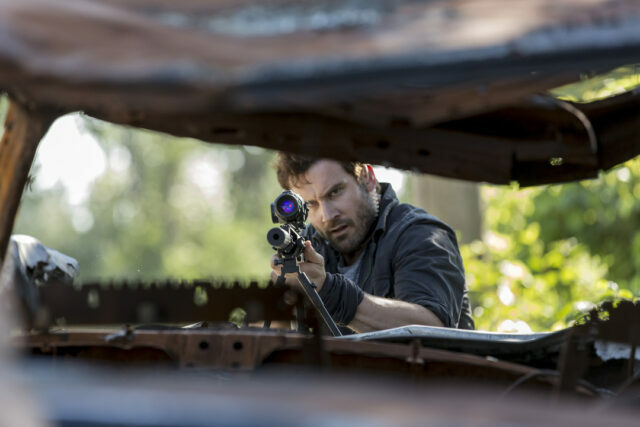 Why do I keep watching Taken, the NBC television series ostensibly inspired by the Taken film franchise? I use the words “ostensibly inspired” because I have absolutely no idea what this series has to do with Taken. Clive Standen can’t be playing a young Liam Neeson for the simple fact that the television series takes place now, not thirty years ago. Really, it’s more like what a Rainbow 6 (or maybe Splinter Cell) television series would be like — a super-secret government hit squad operating out of Washington, DC. Which brings up another problem with the series. It’s clearly -not- filmed around DC. (It’s filmed in Canada.) At least once a week there’s an establishing shot that shows a familiar DC landmark, but the close-ups don’t make any sense. A few weeks ago, Bryan Mills was running near the Capitol building, because it could be seen over a park and trees… but I can’t think of where he could have been running. It certainly wasn’t the Mall, nor the park between the Capitol and Penn Station. And then, last night, there was a conversation that happened on a bench outside the Lincoln Memorial… but where is this bench? For that matter, what was that columned building at ground level behind the bench? And! We’re now five episodes in, and I have no idea what most of the characters are named! Christina… is the head of the team? I think her name is Christina. And there’s Riley; I know her name because last week sort of focused on her. After that… I don’t even know the name of Bryan’s sort-of girlfriend. The characters on Bryan’s team of government super assassins are supposed to the best-of-the-best, but they’re generally unimaginative idiots. (Bryan is the only person who shows any initiative or creativity on anything.) Standen’s portrayal of Bryan seems fine, but there’s not a lot of range to the character, which goes from glowering to intense with a stop at angry. I know the team behind this is largely the team behind Lie to Me, the FOX series starring Tim Roth from about ten years ago, and I know they’re capable of doing really good things. I know Standen is a good actor (as Rollo, he was a favorite of mine on Vikings), and the supporting cast seems generally solid. There’s a lot of talent being thrown at Taken, but the result is dull, dull, dull. So why do I keep watching this? The vague hope it might improve? The wish that I’ll finally learn the characters’ names? The occasional DC establishing shots? Why, oh why? Next Next post: The Fourth Doctor and the Curator: What’s the Connection?